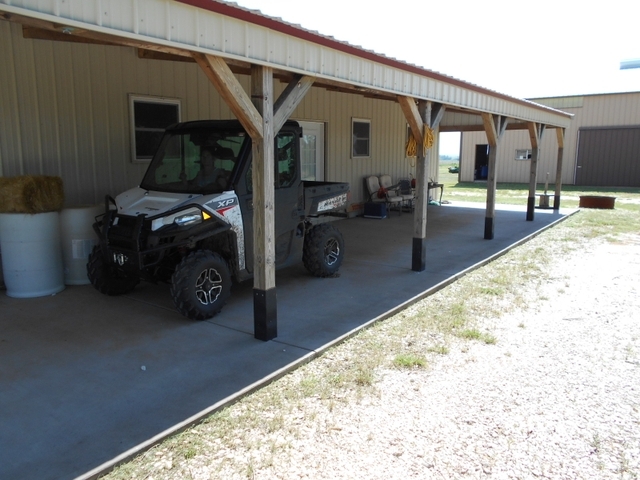 Recreational Ranch: This Southern Kansas ranch has been critically managed for trophy Whitetail Deer with a long-standing and proven history of quality UNIT-16 trophy bucks. HACKBERRY CREEK runs the entire length of the ranch from north to south. Deer Blinds include 7 Boss Game System units on towers, fully enclosed with office chairs and heated during deer season. Two of the game blinds are “bow-blinds” with tall windows and designed to accommodate the avid archery hunter. Automatic Feeders are located throughout the ranch and are set to spin corn twice a day from August-December. Game-Trail Cameras are also strategically located across the ranch to document the game inventory necessary to maintain a quality management program. 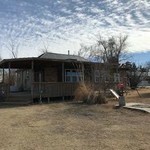 Custom Built Cabin: This cabin is in “like new” condition and comfortably sleeps 8-10 people. It consists of 2 full bathrooms, both with large walk-in showers that are finished in natural travertine stone and granite vanity tops. Kitchen area has a bar, Hickory cabinets, granite counter-tops with two large sinks, counter-mounted glass cooktop, built-in oven, fridge and microwave. Living room is open floor plan connecting to kitchen and entirely finished in natural wood tongue & groove pine. 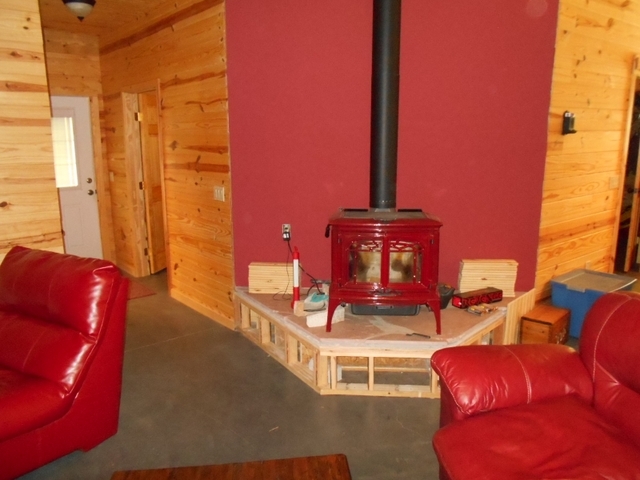 Climate control is central heat & air with additional wood burning stove in the living room. 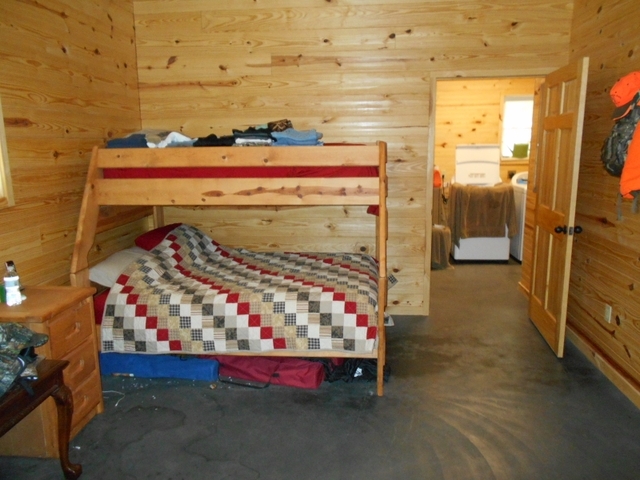 The cabin was recently built and is well-insulated, quality construction, with a very rustic design. All plumbing fixtures are of the highest Delta quality with Wirsbo Aquapex plumbing and Kohler toilets. There are 2 full-length covered porches on opposite sides of the cabin. In addition to the cabin, there is a Large Barn which sets next to the cabin and has a new 6 inch concrete floor. 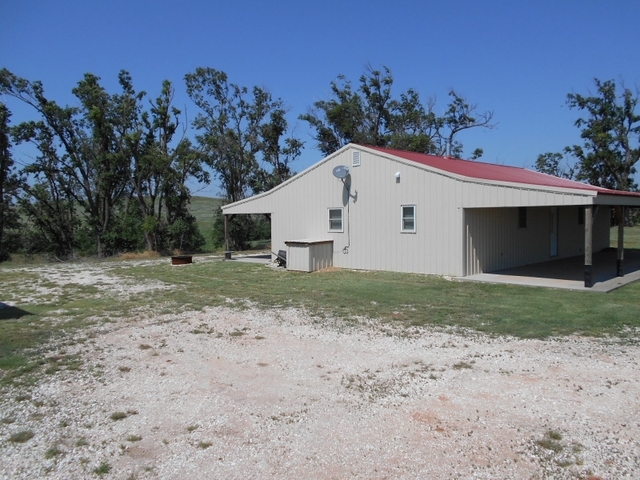 Cattle Ranch: In addition to quality hunting this ranch is also an improved cattle ranch which will support a nice cow/calf operation. There is well over $200,000 in new fencing over the past 2 years. All corners and braces are new steel construction (set in concrete) with 5 ½ inch corner posts and 4-bar (2 3/8 inch) welded cross-bracing. Fence is 5 & 6 strand barbed wire with 6 foot T-posts. 95% of the fence and cross-fence on this ranch is brand new, as are the steel gates and cattle guards. Ranch is cross-fenced into 4 separate areas with most of the cultivation fenced separate from the grazing. There’s adequate water with multiple wells and ponds throughout the ranch. The Cultivated Land accounts for approximately 100- 120 acres with the balance in Native Grass. The bulk of the grassland is a diverse mix of Buffalo, Gramma, Bluestem and other native species. 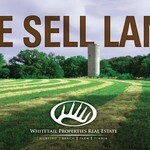 The cropland is utilized for hay production, high-protein forage grazing and wildlife food plots to enhance the hunting. 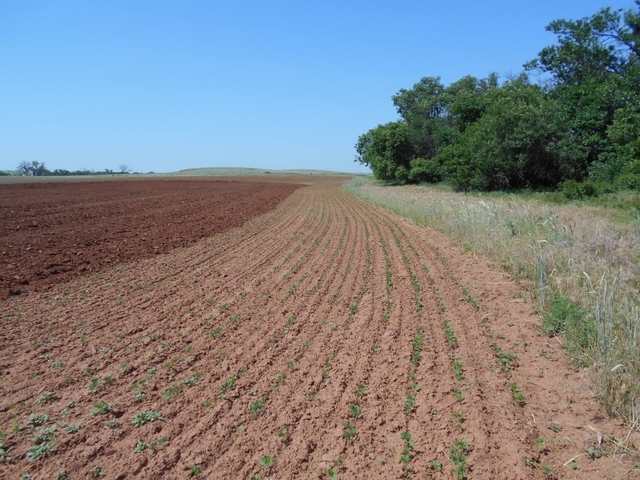 Current crops include ALFALFA, SOYBEANS AND WHEAT. The current (owner-licensee) limits grazing to enhance the hunting potential and allows only 120 animal units and only grazes the ranch from January-August, however this ranch should support approximately 250 animal units under a normal managed grazing program. 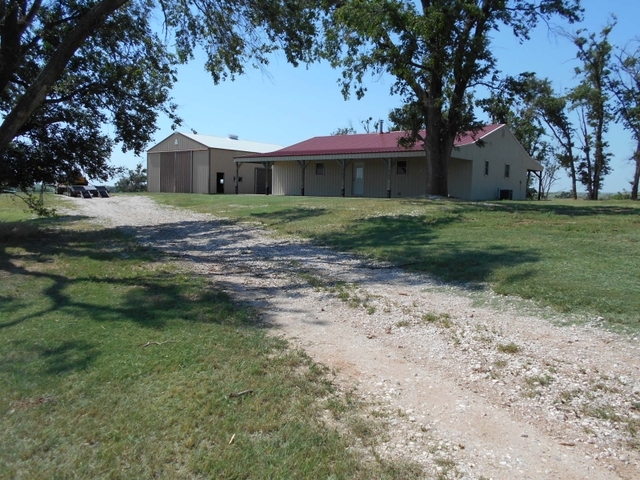 This ranch is being represented by Oklahoma Licensed Broker, Richard Shawn Terrel (Broker #134099). 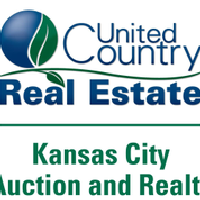 United Country – Kansas City Auction and Realty is cooperatively marketing this ranch with said broker. 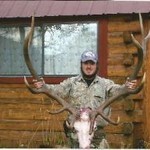 The Devils Bowl Ranch! 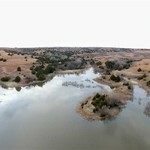 1,034+/- Acres in Barber Co KS!!! !